What does the NEC require? Well, for starters, three-slot grounding receptacles weren't really required or even installed much of anywhere until 1947. At this time, the NEC began ramping up requirement for these receptacles to be installed in laundry areas only. By 1956, the code was expanded to require three-slot outlets in locations such as garages, outdoors, and basements. The code was specifically targeting wet locations where a person was most likely to be shocked. This was of course before the invention of GFCI and AFCI protection receptacles, but the idea certainly contributed to their inception down the road. 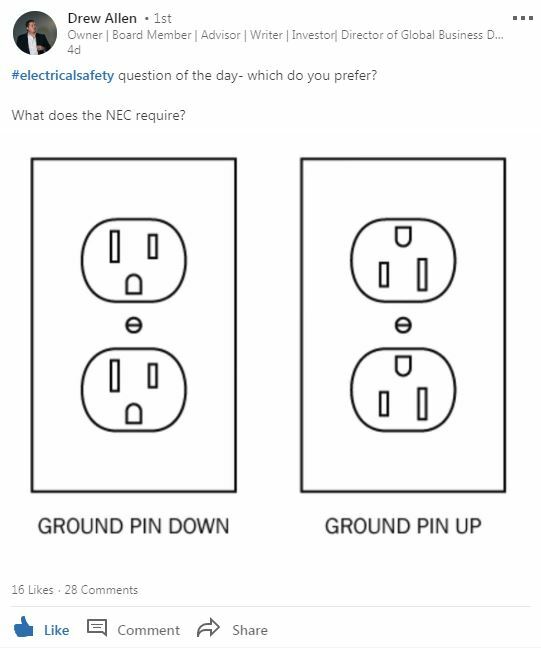 The NEC updates its codes every three years and finally after five revisions, the 1962 edition was the first to require that all 120-volt electric receptacles in residential and commercial buildings be three-slot. By this time, two-slot receptacles quickly became a thing of the past. However, do you notice anything? While the code was so focused on the right thing (safety), they forgot about those of us who are a bit on the OCD side. To date, neither the NEC of NFPA 70 specify an orientation, leaving it entirely up to the interpretation of the installer. This is why it is common to see them both up and down across the country and yes, either way they will meet the code. 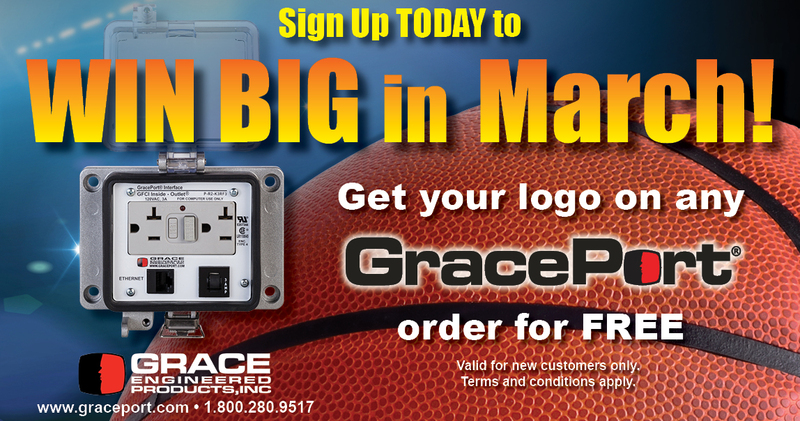 At Grace, the ground slots are up and whichever way yours is installed at your home or place of work, fear not! You're grounded. Click on the image just above to view our trade show calendar. Next week, we'll be exhibiting at Data Center World at booth #513. Stop by and say hello if you are attending! Register for our FREE monthly electrical safety webinar. 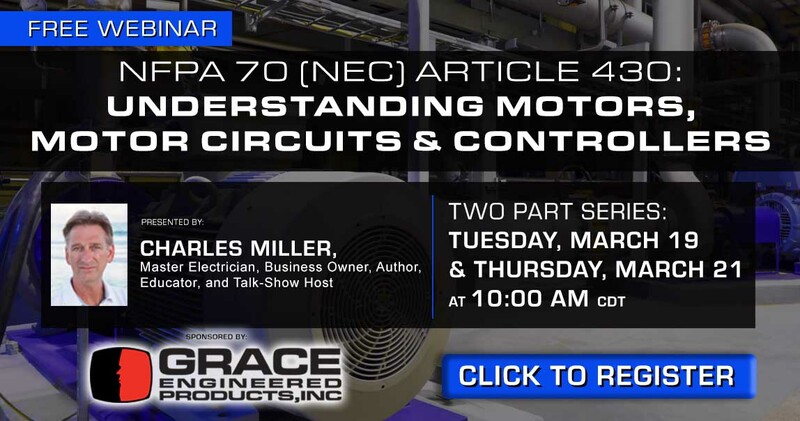 This month we have a new presenter and will be talking about NFPA 70 NEC in regards to motors and controllers. All attendees will receive a certificate of completion for 0.1 CEUs.